Alpha Omega was created in 2006, when it was founded by Robin Bagget and Michelle Bagget. Robin Bagget was already experienced in the wine industry as previously, he was responsible for cultivating over 800 acres of vines in California. Following that massive undertaking, they founded the Tolosa winery in the San Luis Obispo area, located in the Central Coast of California. To help build their new winery in Napa Valley, they brought in Jean Hoefliger as their wine maker. Swiss born Jean Hoefliger learned about wine making from his previous stints in Bordeaux at Chateau Lynch Bages in Pauillac and Chateau Carbonnieux, located in the Pessac Leognan appellation. Jean Hoefliger was quite knowledgeable about Napa Valley as well, because he was also the wine maker at Newton Vineyards, prior to joining Alpha Omega. Alpha Omega brought in another experienced Bordeaux alumni as their consultant, Michel Rolland. Jean Hoefliger is also involved with The Debate, another stunning California winery, which shares fruit and vineyard sources with Alpha Omega. Alpha Omega produces wine from estate owned vines and various grape sources located in numerous appellations in the Napa Valley. It is the complex blending of all these divergent grape sources that help produce the variety of wines they make today. In Spring Mountain, they obtain Merlot, Petit Verdot and Cabernet Franc. In St. Helena, the purchase fruit from Beckstoffer vineyards. On Howell Mountain they obtain Cabernet Sauvignon and Petit Verdot and in Rutherford, aside from vines they own, planted to Sauvignon Blanc and Semillon, they also purchase Cabernet Sauvignon from Beckstoffer, Sacrashe and Escher vineyards, as well as small amounts of grapes from Yountville, Stags Leap, Mount Veeder, Oak Knoll, Atlas Peak, Caneros, Coombsville and Jameson Canyon, Wildhorse Valley In Oakville, which is the source for their top wines, they buy fruit from Beckstoffer To Kaylon, Sklar and Garvey vineyards. Alpha Omega as you might easily surmise, produces a very wide and diverse range of wines from all those different gape sources as you can see from the list of wines they have available. Alpha Omega ERA Napa Valley – The average blend is 89% Cabernet Sauvignon, 6% Cabernet Franc, 3% Petit Verdot and 2% Merlot. 900 cases is the annual production. Alpha Omega Dr Crane Vineyard St. Helena – Very little of this beauty is made, with an average production of about 275 cases per year. Alpha Omega Beckstoffer Georges III Rutherford – Very little wine is produced here, as less than 150 cases are released in most vintages. Alpha Omega Las Piedras St. Helena – In most vintages, about 225 cases are released in a single vintage. Alpha Omega To Kaylon Produced from 100% Cabernet Sauvignon, the production averages 500 cases per year. Alpha Omega Missouri Hopper Oakville – Made from 100% Cabernet Sauvignon, the production is under 300 cases per vintage. 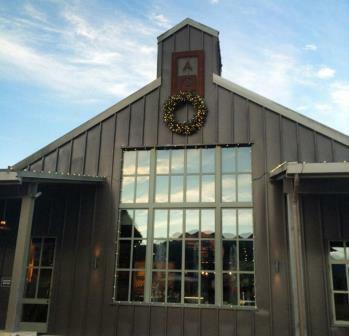 Alpha Omega Stagecoach Vineyard Atlas Peak – Under 450 cases are released each year. Alpha Omega Sunshine Valley Oak Knoll – About 450 cases are made in a single vintage. Alpha Omega Thomas Vineyard Rutherford – Under 225 cases are produced in most years. Alpha Omega Proprietary Red comes from grapes planted in Beckstoffer To Kalon and Las Piedras. This is their second largest production, as close to 2,000 cases are made in most years. Alpha Omega Cabernet Sauvignon is made from fruit planted in several different vineyards including Beckstoffer To Kalon, Missouri Hopper and Las Piedras. This is most commercially available wine from their large portfolio, with almost 2,500 cases being made in the majority of vintages. The red wine of Alpha Omega is best served at 15.5 degrees Celsius, 60 degrees Fahrenheit. The cool, almost cellar temperature gives the wine more freshness and lift. Young vintages can be decanted for 1-3 hours, depending on the character of the vintage. This allows the wine to soften and open its perfume. Older vintages might need very little decanting, just enough to remove the sediment. Alpha Omega is best served with all types of classic meat dishes, veal, pork, beef, lamb, duck, game, roast chicken, ribs, hamburgers, barbecue, roasted, braised, grilled dishes and stews. Alpha Omega is also good with Asian dishes, hearty fish courses like tuna, salmon, mushrooms and pasta. Chardonnay and Sauvignon Blanc, the white wines of Alpha Omega are is best served with all types of seafood and shellfish, sushi, sashimi, chicken, veal, pork and cheese. Now we're talking! Combining elegance with opulence, you also find waves of intensity, with all its ripe, black, blue and dark red fruits. Velvet tannins and palate staining fruits really make a great impression. This has the structure to age and evolve for years, but it will probably drink earlier than the 2013. Espresso, smoke and black cherry come to the surface. Full bodied, dense and with silky tannins, soft textures, there is freshness, luscious fruits and just a minor a touch of heat in the long, dark, fruit filled finish. This beauty was made from 100% Cabernet Sauvignon. Inky in color, this is full bodied, powerful, fresh, sweet and fleshy. With equal portions of black and blue fruits, licorice, vanilla tones and the structure/tannins, along with density and lift to demand some ageing. This will be much better in 3-5 years. The wine was made from a barrel selection from all of their top vineyards. With real depth of flavor and layers of concentrated, black and blue fruits, vanilla bean, smoke, black licorice, dark chocolate and black cherries, this offers a blend of intensity with opulence. There is vibrancy, and lift, with length and sweet fruits that stick with you. Perfectly, smoky, black and blue fruits create a wine that is elegant in style, round in texture and incredibly easy to drink. The blackberries, blueberries and plums are ripe, juicy and sweet. Full bodied and soft, you can pop this today or age it as it's only going to get better from here! The debut vintage for this new cuvee, the vineyards are on the east side of Rutherford, behind Whitehall Lane. Finesse in style, time is needed to soften the tannins as this wine has the structure and raw materials needed for long aging. But that's OK, as all the deep, fat, potent, black and blue fruits are ripe, juicy and pure. So lay it down for a few years to get the most of out this stunner! Earthy, graphite and black cherry is what you find first. From there, you move to the softer, elegant side of the ripe, fruit. Medium/full bodied, fresh and sweet, you can drink this in its youth, and enjoy its evolution over the next decade or longer. A bit tight on the come out, it takes a little coaxing before you find all the smoky, fruits and espresso bean. Full bodied and concentrated, the wine is silky, lush, sweet and fresh, with just a bare hint of that famous Rutherford dust on the tannins. It's quite possible, that more of this wine is being held in reserve at the moment, so in a few years, it could prove to be even better with age. The wine is powerful, rich, deep and low in acidity. The fruit is there, with its ripe, sweet, flavors, the tannins take on a dusty quality that carries through to the finish. You can drink this on release, if you like them on the young side. Metallic, in a good way, as it adds complexity to the dark berry and espresso nose. The wine is full bodied, dense and packed with tannins, from there, you find your way to the layers of deep, dark, ripe sweet, black fruits and pepper in this firm style of wine. Produced from 100% Cabernet Sauvignon, the first thing that gets your attention is the black as night color. The cassis and floral notes open things up before you hit all the earthy, blackberry, blueberry, cigar box, licorice and charcoal aromatics. On the palate, the wine combines elegance with powerful, freshness with length and purity, silky tannins and a massive wall of fruit in the finish. Smoke, lead pencil, dark, red fruits and spice, this is not an upfront wine. It's going to take time and at least 5 years of patience before everything comes fully together. But when you unwrap all those layers of perfectly ripe, dark fruits, spice, earth and cigar box, you'll be happy you waited. The wine feels as good as it tastes, and reinforces that it wants a little nap before popping a cork. The wine was produced from 100% Cabernet Sauvignon. Produced from a barrel selection from all of their top vineyards, the wine starts off with black and blue, sweet, ripe, juicy fruits, espresso, caramel and a hint of licorice. Fleshy, elegant, soft and polished, which is hard to do, because there is a wealth of fruit here that sticks with you. Produced from 100% Cabernet Sauvignon, the juicy, dark, red fruits are right out in front. Full bodied and concentrated, the tannins are soft, there is a freshness to fruit that gives this energy. The black and blue fruit, licorice and black cherry profile, already stands out here. While delicious today, this is only going to get better from here. Inky in color, the black cherry liqueur really stands out in the nose. Opulent, rich, dense and full bodied, this is such a turn on to taste, The multiple layers of fruit coat your mouth and palate. The wine was made from 100% Cabernet Sauvignon. Luscious in texture, dark in color, and loaded with ripe, deep, dark, black fruits are complicated by a slight citrus note in the background. There is sweetness, concentration and intensity. The round tannins, freshness and ripe fruits create a wine with a solid depth of flavor that can be popped young, or aged for secondary nuances. Forward, full bodied, concentrated, soft and polished, there is a wealth of ripe, dark, red fruits, licorice, vanilla and smoke going on here. Round in texture and already charming, if you've been thinking about popping a cork, why not? Buttery, rich, and round, with sweet pears, apple, pineapple and vanilla bean, the wine is all about its sweet, pleasure and freshness interplay. This is a wine of pleasure for immediate gratification. It is not a wine I would lay down and forget about. Inky in color, with a blast of licorice, chocolate, vanilla, blackberry and smoke in the nose, this is seriously concentrated, lush, round and powerful. Everything is in balance with a lot of all the rights things in all the right places. Lush, sensuous, full bodied, richly textured wine with layers of black and blue fruit, licorice, smoke, coffee bean and oak. There is a lot to like here, without going over the top. Lushly textured, opulent, ripe, forward styled, full bodied wine that is packed with layers of sweet, fat, juicy, black and blue fruits, leaving you with mouthful after mouthful of perfectly ripe fruits. Everything really works here, with style and character to boot. Full bodied, earthy, concentrated, deep wine with ripe fruits, that straddle black, red and blue, finishing with an earthy, tannic, Rutherford, dusty finish. finish. Give this a few more years in the cellar to soften and come around. Earth, forest floor, smoke, licorice, vanilla bean and a bit of truffle add to the sweet, ripe, dark fruits, plush, polished, lush textures and round, rich finish. Full bodied, concentrated, powerful, tannic, structured style of wine, with loads of fruit that bucks the trend in forward styled Cabernet wines. Give this at least 5 years to soften and come together. Brighter, fresher, lively, vibrant. open style of California Cabernet Sauvignon with a delicious blast of fresh blackberry, black cherry, vanilla bean and thyme, with soft, lush, round textures and ample fruit, accented by oak in the finish. Lighter in weight than some of the other 2012 Alpha Omega releases, there is still a lot to like, with its blackberry, oak, licorice and smoke character. Plushly textured and forward, this is already open and fun to drink. Vanilla bean, lemon peel, tangerine, buttered popcorn and pear notes on the nose open to a polished, round, plush expression of Chardonnay that is ready for drinking today. Solid wine, but the herbal component was perhaps a bit too dominant, taking away from the sweet, lush plums and cherries and soft tannins. Elegant in style, with a focus on freshness and purity of fruit, over concentration and ripeness, this is going to be best in its youth. Light, easy going, fresh, citrus, honey and vanilla centered, medium bodied wine. The debut vintage produced from 100% Cabernet Sauvignon, this soft, medium bodied. fresh wine offers sweet ripe, red plums, cherries, oak and spice. It should be drinkable on release. Supple in texture, the perfume pops with tobacco, licorice, fresh herbs, blackberry and chocolate. The wine is fleshy, full bodied and plush, ending with a boatload chocoalte covered black cherries. Forward in style, if you have a bottle, pop a cork if you like them on the young side. Just as good as it was the last time I tasted this about a year ago. Lots of freshness to the sweet, ripe, polished fruits coupled with a zippy, finish. A big step up from the 2009, there is more concentration of flavor with its black and blue fruits, oak, earth and smoky black cherries. Plush, round and forward, drink it now, or age it a bit. Vanilla bean, coffee, smoke, cassis and caramel scents open to a polished, round, fleshy style of Cabernet Sauvignon that ends with sweet, dark berries and spice. Lots of earth, smoke, coffee bean and dark berry scents open to a full bodied, polished, cassis filled wine that could use a year or two in the cellar. Wow, they make a lot of wines here! And they are all good, if you can keep track of them. The Proprietary blend, produced from a mix of 49% Cabernet Sauvignon, 40% Merlot, 2% Cabernet Franc and 9% Petit Verdot is forward, easy to like and packed with round, fresh, sweet, black cherries, licorice, dark chocolate and polished tannins. Sweet and tart fruits and complexity to this tasty, forward wine that blends cassis, blackberry, coffee and earthy notes.